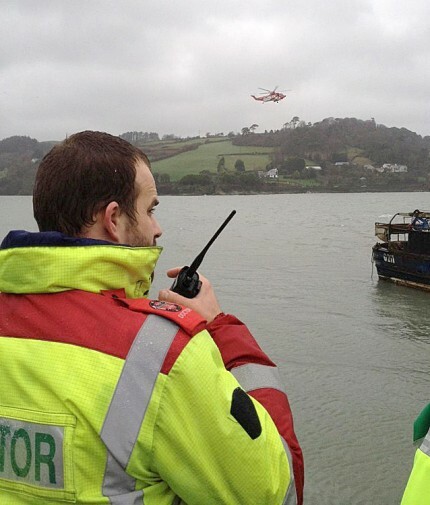 Doctors Karl Knapman and Jason van der Velde of West Cork Rapid Response, and advanced paramedic Amy Enright, await news from the search parties out on the bay at Glandore. 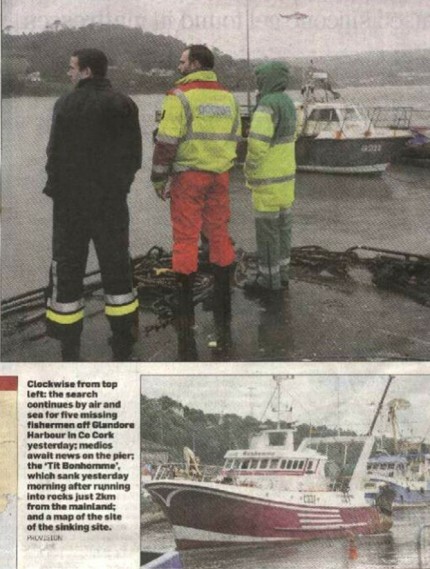 Photo: WCRR Doctors Dr. Jason van der Velde (seen here) and Dr. Karl Knapman along with WCRR Directors John Kearney and Aodh O’Donnell are helping in the recovery of bodies in any way they can. Both John and Aodh are experienced divers and dive with the Baltimore Diving School, of which John is the proprietor.